The Global blood pressure transducers market is expected to grow at an approximate CAGR of 5.2% during forecast period, 2018–2023. Rising occurrence of obesity is the key factor driving the blood pressure transducers market. According to the 2015 data suggested by the Australian Institute of Health and Welfare, nearly two-thirds (63%) of Australian adults were overweight or obese. Various other factors such as sedentary lifestyle, lack of physical activities, technological advancements, presence of a large target patient population, rising patient awareness regarding the benefits of blood pressure transducers, availability of fiber optic blood transducers, and growing demand for disposable blood pressure transducers are also expected to propel the growth of the market. However, stringent government regulations, high cost associated with technological development, and lack of trained professionals can hamper the market growth over the forecast period. The Global blood pressure transducers market is segmented based on type, technology, procedure and region. The Global market for blood pressure transducers, by type is segmented into reusable blood pressure transducers, and disposable blood pressure transducers. The Global market for blood pressure transducers, by technology is segmented into digital, aneroid, and wearable. Based on procedure, the market is segmented into intravascular blood pressure monitoring, and extravascular blood pressure monitoring. Based on end user, the market is segmented into hospitals, clinics, ambulatory surgical centres, diagnostic laboratories, and others. The hospitals segment is anticipated to hold the largest market share owing to the increasing cases of cardiovascular disorders. The diagnostic centres are expected to grow at the highest growth rate owing to the rising demand for early diagnosis. The Americas dominated the global market for blood pressure transducers owing to presence of major market players and high prevalence of blood pressure within the region. According to the 2017 data suggested by the American College of Cardiology Foundation, around 34% of the Americas population has high blood pressure, and more than 45% of non-Hispanic Black women have hypertension. In 2017, it was estimated that Europe stood second in the global blood pressure transducers market. This can be attributed to the rising research and development investments. Asia Pacific was projected to be the fastest growing region in 2017. Factors such as growing awareness among population, increasing prevalence of high blood pressure within the region, rising occurrence of obesity, and increasing healthcare expenditure drives the regional markets of the Asia Pacific region. According to the 2015 data suggested by the Australian Institute of Health and Welfare, nearly two-thirds (63%) of Australian adults were overweight or obese. On the other hand, the Middle East and Africa held least share in the global blood pressure transducers market due to the low per capita income, especially within the African region. 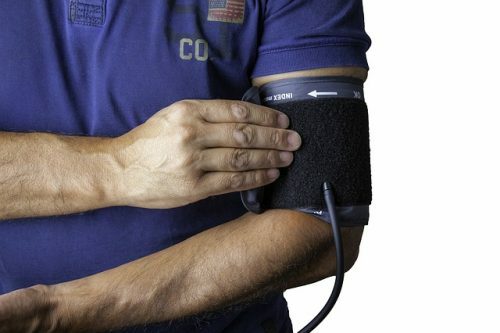 Some of the key players in the global blood pressure transducers market are Medtronic plc, Omron Healthcare, GE Healthcare, Inc., Masimo Corporation, Spacelabs Healthcare, Utah Medical products, Inc., Edwards Lifesciences, ICU Medical, Becton, Dickinson and Company (BD), MEMSCAP, Argon Medical Devices, Merit Medical Systems, Fiso Technologies, Fogg System Company, Iworx Systems, Junken Medical, Medline Industries, and others.